A nursing graduate who put pen to paper to reflect on her experiences during a clinical placement has had her work published in a top journal. 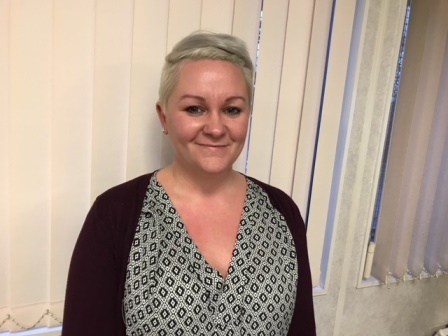 Cara Large studied a BSc (Hons) Adult Nursing degree with the Faculty of Education, Health and Wellbeing and will graduate in March. “The article that has been published is an edited version of an assignment I submitted in my 3rd year. I learned so much when I wrote it and felt it so pertinent that I wanted to do more with it. So I contacted Nursing Standard, who said they accepted 500 word student reflections for consideration, and they liked my idea, so if I could adjust it to suit those requirements they’d consider it for publication. The original assignment was on inappropriate Cardiopulmonary Resuscitation (CPR) and where professionals stood on making the call to not administer CPR when there was an absence of a Do Not Attempt Resuscitation (DNAR) order. The specifics of the assignment looked more into WHY patients did not have DNARs, if indeed CPR would be inappropriate, and what we, as professionals, can do to prevent our patients being in this situation. The subject was at the forefront of my mind from attending cardiac arrest calls on my 3rd year hub placement. I went out numerous times with the critical care outreach team and the first time I did CPR it felt wrong. That scenario is the reflection I cited in the article that prompted me to probe more into the subject matter. I am absolutely made up to have it published - completely shocked and blown away. I never actually thought people would want to read something I had written, I never really felt like it was good enough. However, I’m really happy that it has, and proud of myself. It has come very late in the day to have any influence on my academic studies, as I actually finished back in October, but prior to this I am not sure I would have had the confidence to approach anyone to have it published, regardless of grades. It was mainly after my personal tutor suggested I submit my independent project for publication (it is still under consideration by another journal) that gave me the confidence boost I needed to enquire.